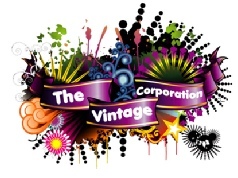 The Vintage Corporation is ideal for all corporate functions and events. The ultimate ‘60s and ‘70s, uniquely versatile Top Class 9-piece live party and function band. The Vintage Corporation corporate function band and party band will take you back in time for a musical flash-back with only one goal in mind : to give all guests at the party or corporate event a good time. No effort or energy is spared to recreate the sound of the fantastic ‘60s and ‘70s era’s. In keeping with the traditions from a bygone age of true musicianship, the band plays songs from our extensive back catalogue of popular covers, carefully selected motown, disco, jazz, blues, soul, rock’n roll and pop. Staged totally live with no miming or drum machines. Refreshing, eh? The Vintage Corporation Sixties Seventies live function and party band is ideal for all your private parties, functions, charity balls, corporate events, award ceremonies, weddings, corporate functions, fundraising events, Xmas parties, office parties, dinners, media events, product launches, annual celebrations or any other type of event. We often perform 4 and 5 part harmonies. With our variety of male and female singers, combined with saxophone, trumpet and keyboard artists, we provide a comprehensive range covering all the genres of the Sixties and Seventies. The Vintage Corporation treat the music of their heroes with the respect that is due to musical genius. We don’t merely learn a song, we study and perfect it and ultimately play it brilliantly. With a total emphasis on entertainment and an infectious dance play-list, we aim to get your guests on the dance floor and keep them there. Our bookings and gigs are handled by professional management ensuring that you receive excellent service and prompt communication through the booking process and after. We are professional and reliable to deal with and we won’t let you down. We are based in the South East and perform all over the UK and worldwide. 9 Piece Top Class Live band. The ultimate live party and function band. Corporate band, ideal for all your corporate events and parties. 250 years of musical experience between the band members ! Copyright © All Rights Reserved. Web site concept, original text and artwork by The Vintage Corporation 2016. Disclaimer. We also do a Tina Turner Tribute, with a 9 piece LIVE band, no backing tracks. Now THAT is....... Simply The Best!